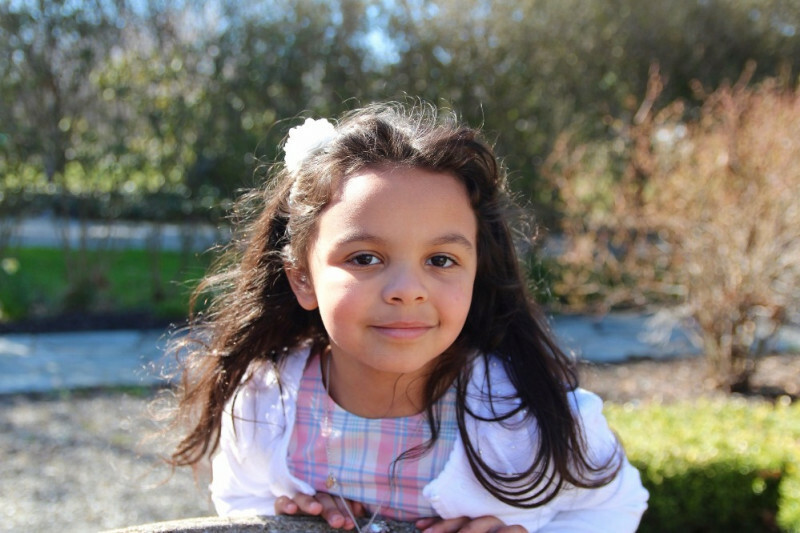 Posted on April 9, 2019 by William A. Weather is warming up again at long last, flowers are popping, and the world is looking beautifully colourful once again. It must be Springtime! 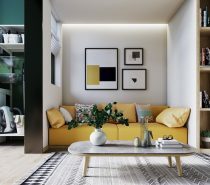 To celebrate the season, we’re looking at four energetic, character packed home interiors that embody a springtime theme, by embracing cheerful hues and uplifting nature inspired prints. 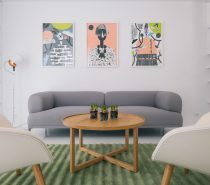 Home number one is an airy space, spiked with zesty orange and green. 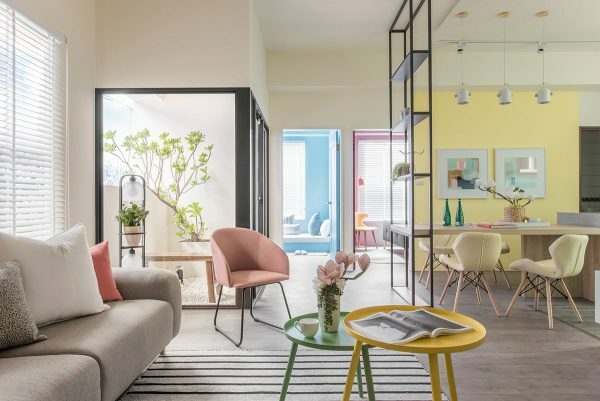 Tour number two is light and enlivened with bright accents of coral, yellow and green. Darker colours and a deeply floral theme fill our traditionally styled third home tour. 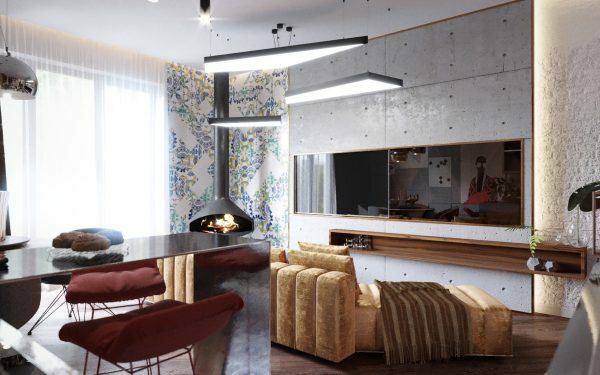 Then finally, we finish up in contemporary chic springtime, elevated with luxe elements of gold and copper. 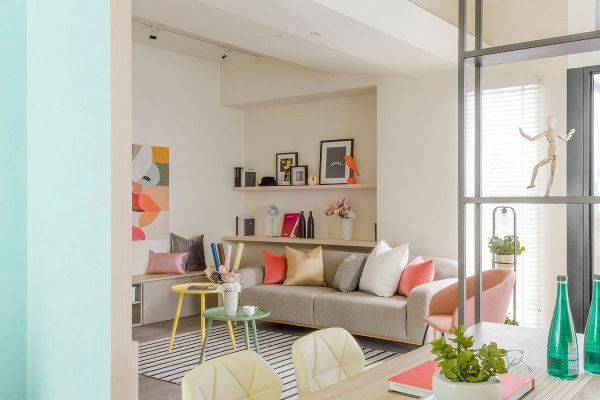 Home tour number one hits us with a juicy orange and green theme, inside an airy open plan apartment. 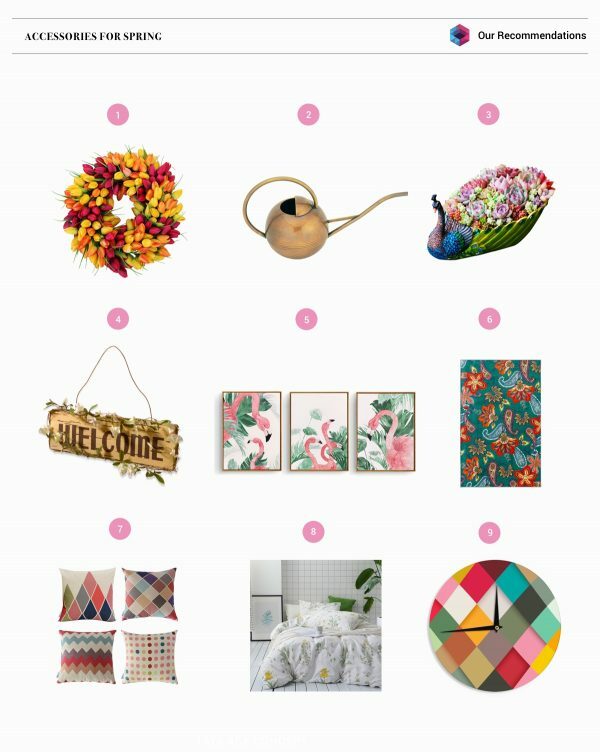 Springtime flowers sprout from a vase placed right at the centre of the room; A modern chevron print adorns the ceramic. See more modern decorative vases here. A modern fruit bowl placed beside the vase has a cool geometric design too. 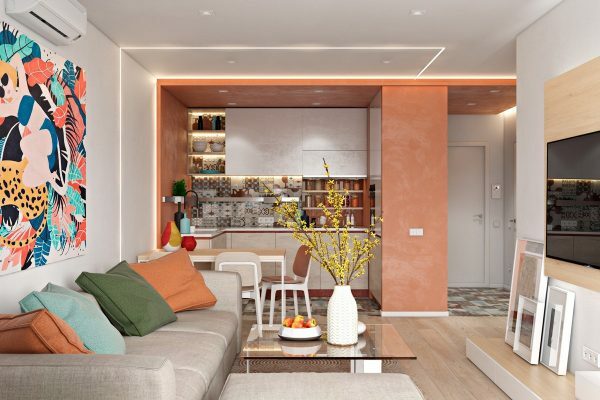 The living room dining room combo is melded together by colour, but a thin strip of LED light cuts down the wall to clearly define one area from the other. 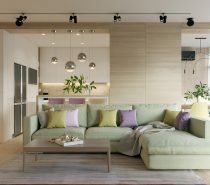 A wall of windows lets springtime sunshine flow into the living space. Light taupe curtains gather at one side of the glass. 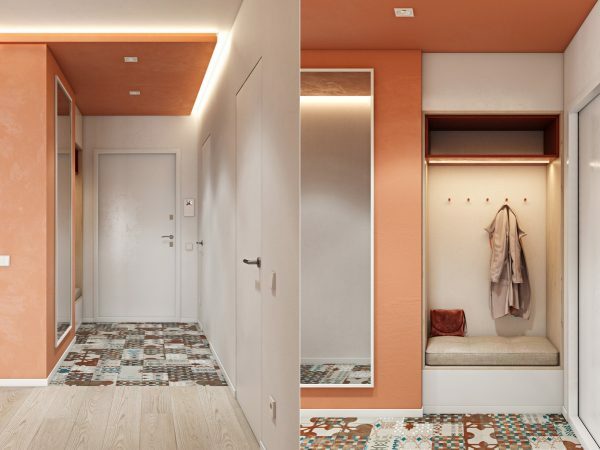 The orange decor continues seamlessly into the hallway, where a small bench seat has been built into a recess. 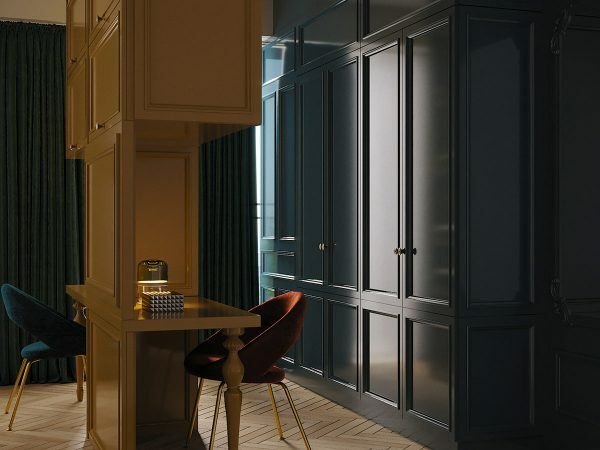 A row of wall hooks equip an area for coat hanging above it. 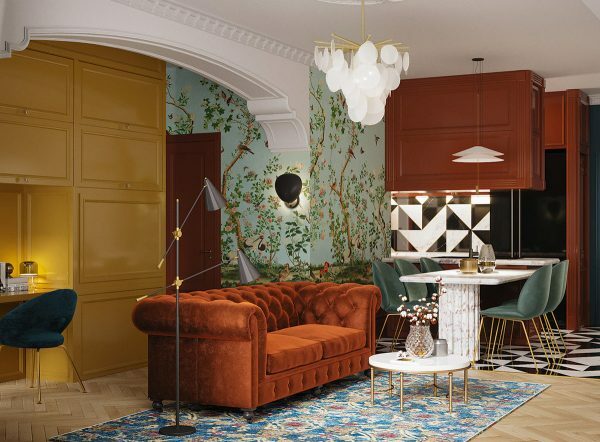 Bold pattern gives the floor a characterful look. 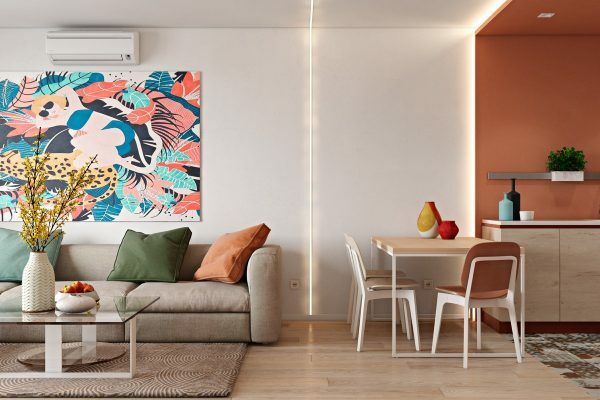 Orange and pink tropical fronds are the subject of some colourful bedroom art, which fills half an orange accent wall. 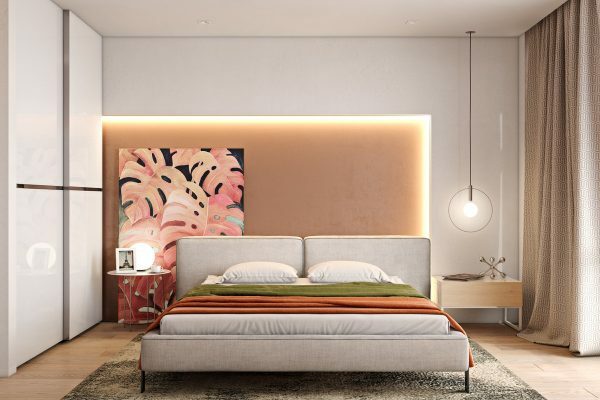 A delicate bedroom pendant light drops down in the white space next to it, providing calm contrast. 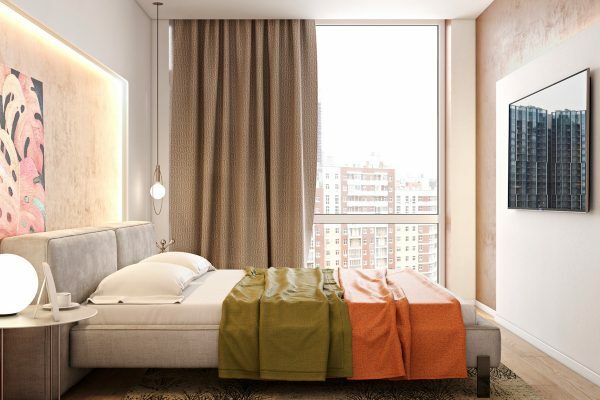 Green and orange throws dress the bed with contrasting stripes. 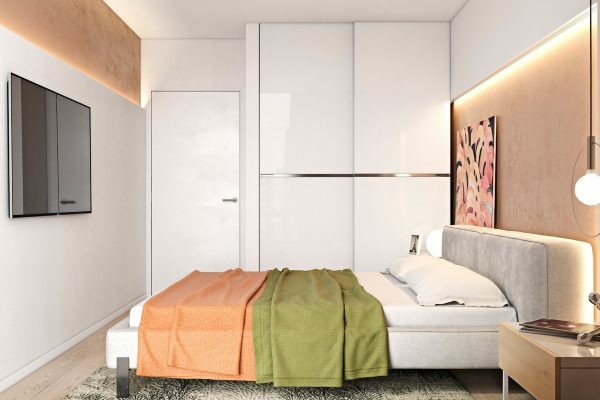 A white tv wall panel stands proud of another orange accent wall opposite the foot of the bed. Turquoise and orange hexagonal tiles make a spectacle inside a combined bathroom utility room. 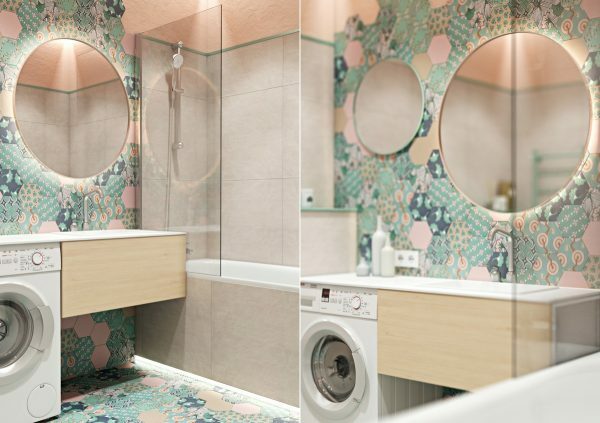 The heavily patterned design climbs the wall behind a minimalist floating vanity unit and washing machine. 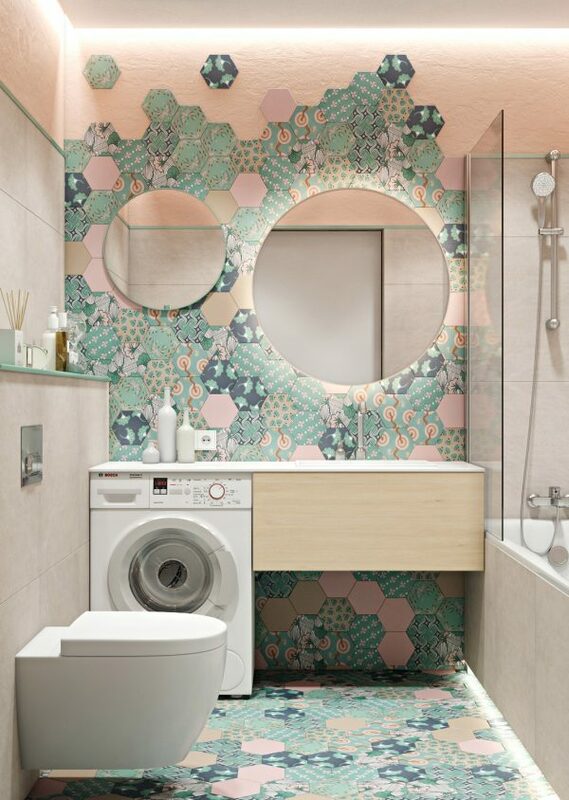 In curvy contrast to the geo cut tiles, a round vanity mirror and decorative wall mirror dot the wash area. 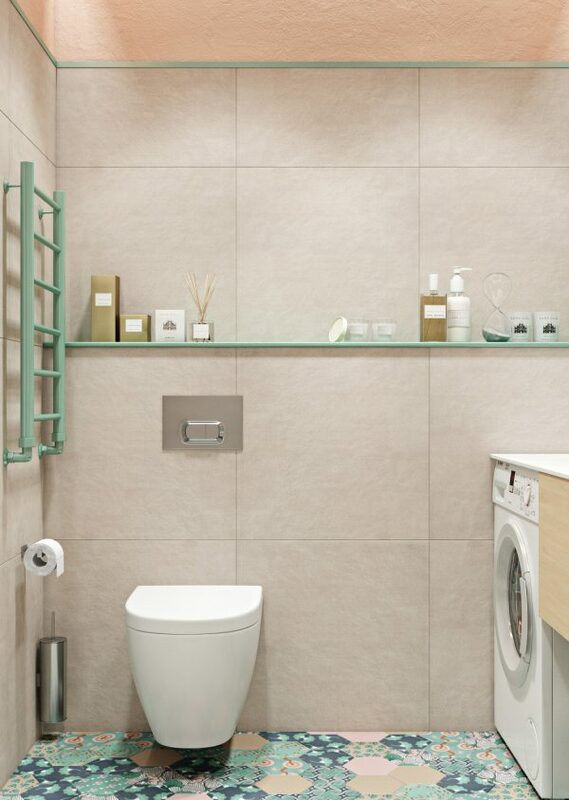 Tiles behind the bathtub have been kept simple and neutral. 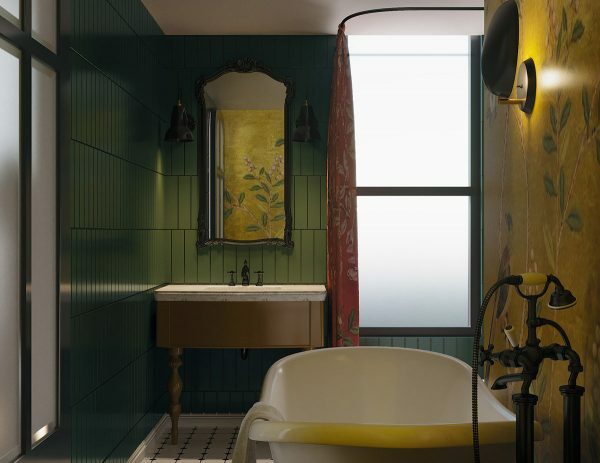 To complement the turquoise tiles, a green shelf top has been applied over the cistern, alongside a turquoise heated towel rail. Cracking onto the next tour, some colour contrast nesting coffee tables get things off to a bright start. 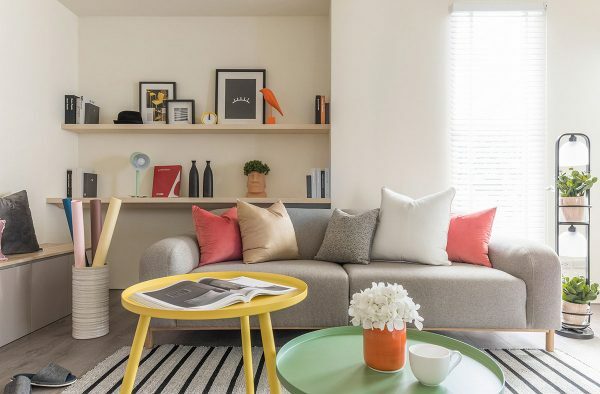 Busy little accents of coral, yellow and green hum throughout this apartment, positively fizzing with bubbly personality. 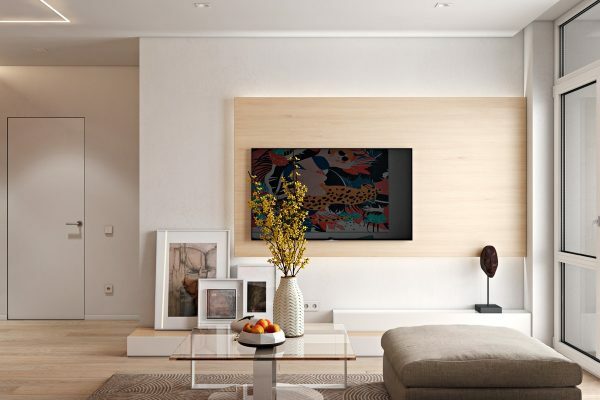 A piece of modern art brings the different hues together on a white living room wall, above a neutral shoe bench. 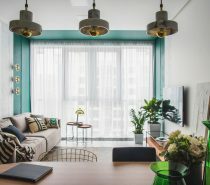 In fact, most of the walls and larger furniture pieces are of a neutral finish inside this home, it is the smaller accessories and accent sections that create the buzz. 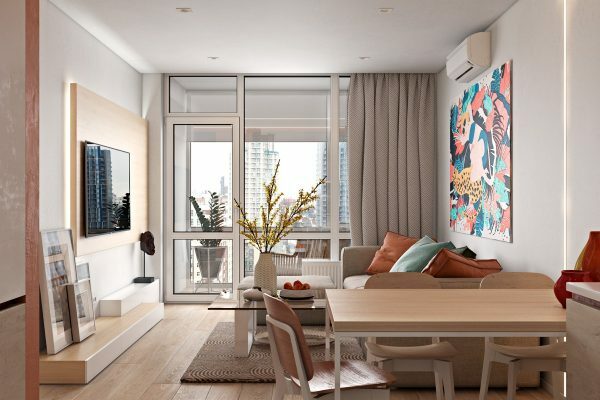 This city apartment also benefits from the addition of a green space, which is made visible to all of the living area through an L-shaped window installation. 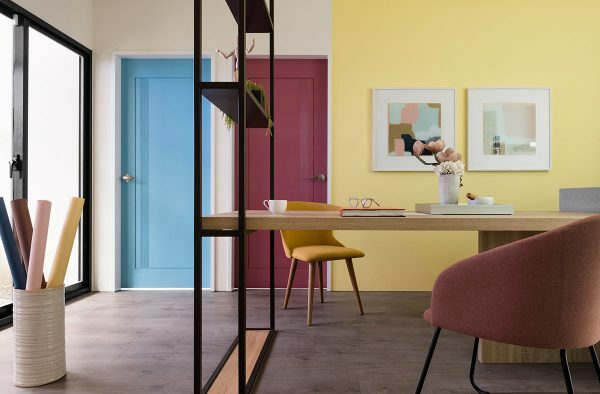 Yellow dining chairs sit two by two at each side of a wooden table that is held up at one end by a modern shelving unit. 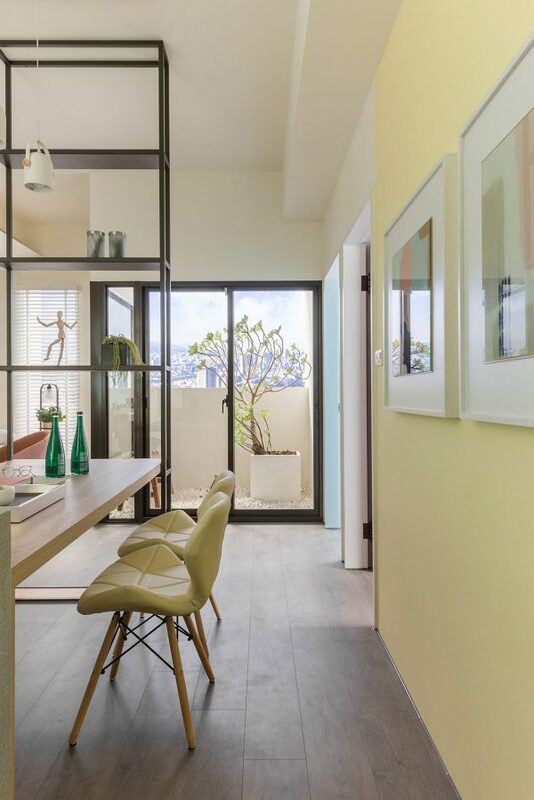 A yellow accent wall has been painted in behind the dining area to complete a lemon sorbet ensemble. 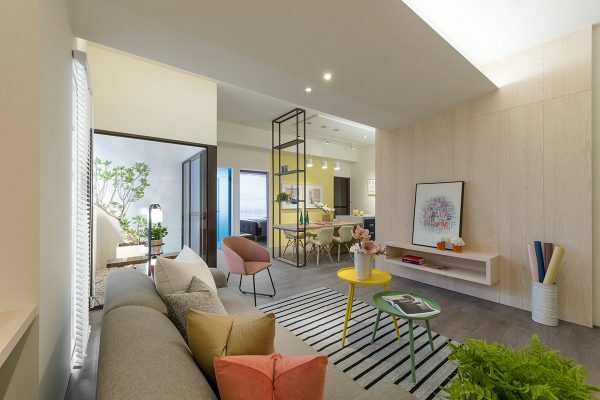 Alternatively, the table can be used as a modern home office. 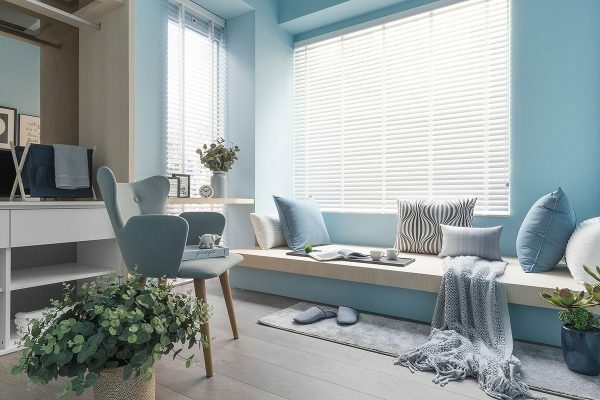 A sky blue reading nook is calm and welcoming, made cosy with plump blue and monochrome print cushions. 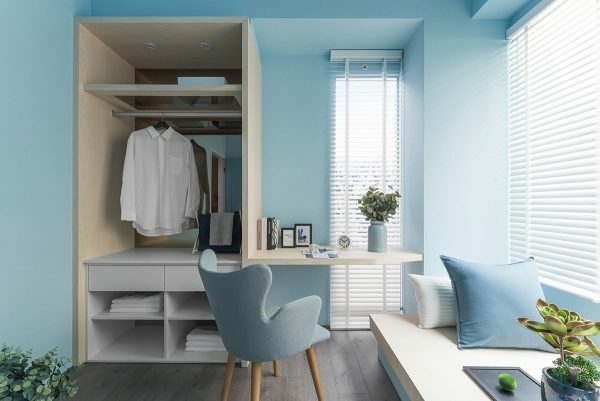 A blue accent chair sits at a desk/dressing table, which is built onto the side of an open fronted wardrobe. From all blue, to all pink. 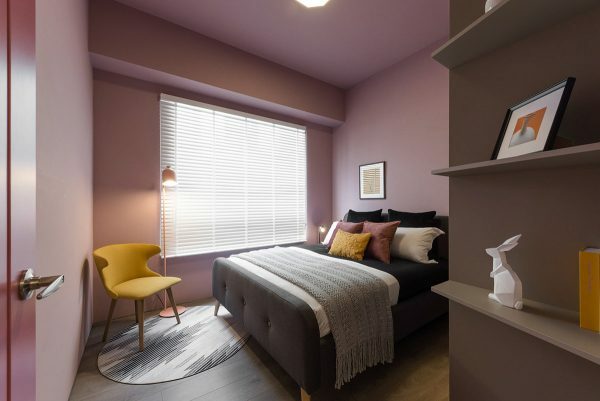 This pink bedroom even has a pink door and a pink ceiling to top it off. 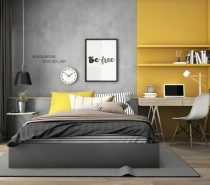 Strong yellow accents break up the pink theme, in the form of a yellow bedroom chair, bed cushion and shelf knick-knacks. 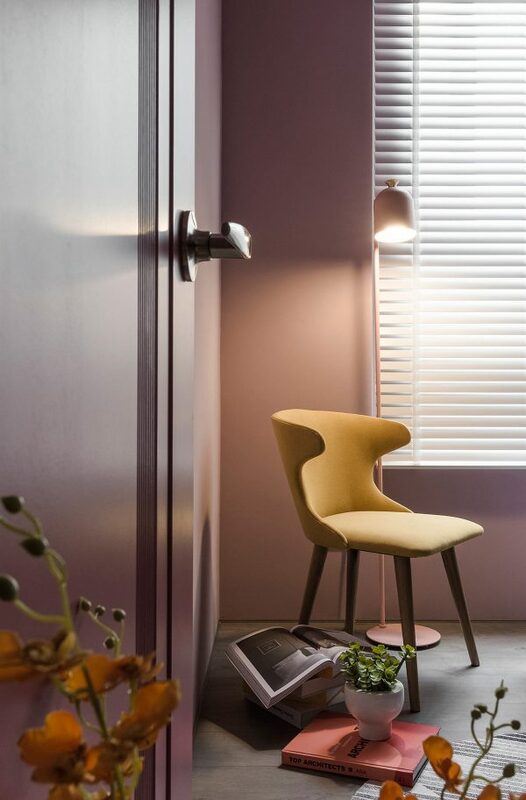 A pink floor reading lamp blends with the wall. 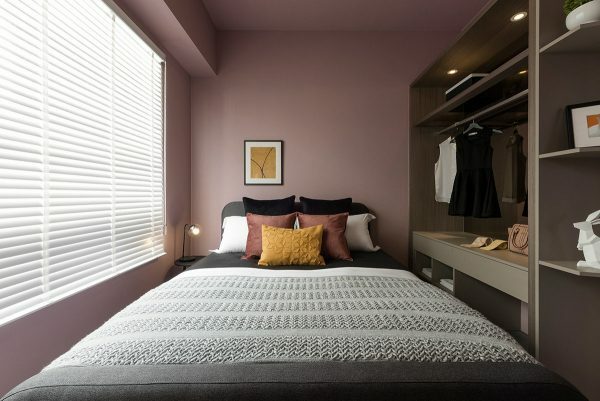 A double bed fills the majority of the narrow bedroom floor, so an open fronted closet and storage shelves keep belongings neat and accessible. 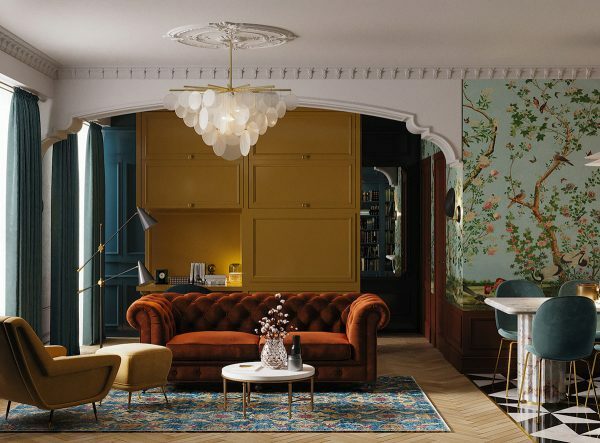 Darker colours and deeply floral wall treatments shape our third home tour with a somewhat Victorian vibe. Modern floor lamps dip over a classic chesterfield sofa. The Gubi Beetle chair has been matched with a heavy marble dining table. 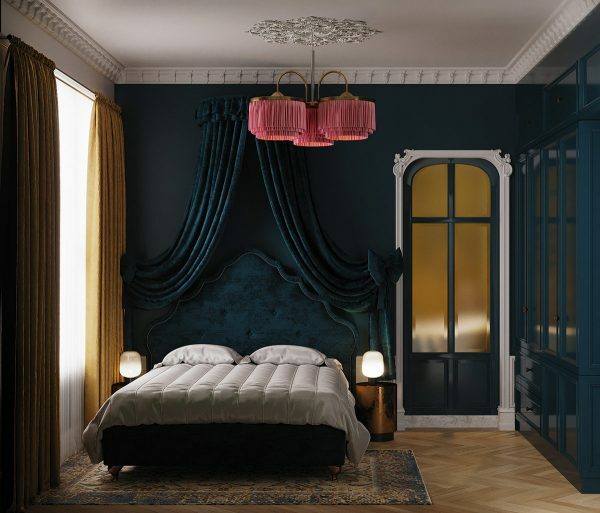 A translucent white chandelier dangles in the dark teal room. 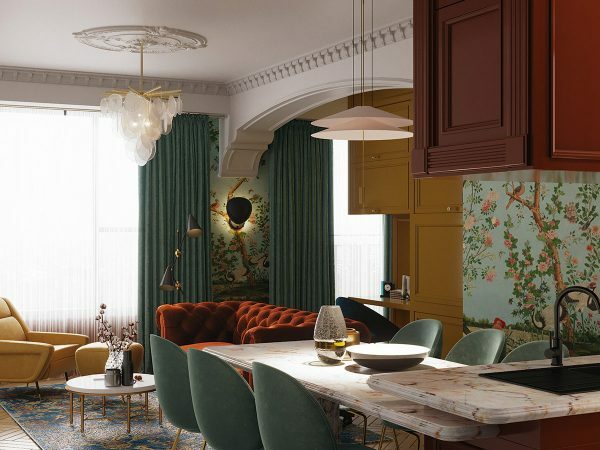 The dining table runs directly into the kitchen peninsula, which has a matching marble top. A floral wall treatment whimsically decorates the kitchen diner. 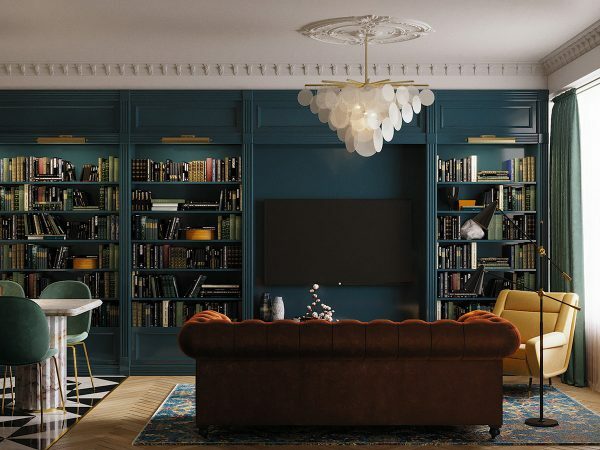 Yellow ochre and dark teal cabinets provide deep contrast. 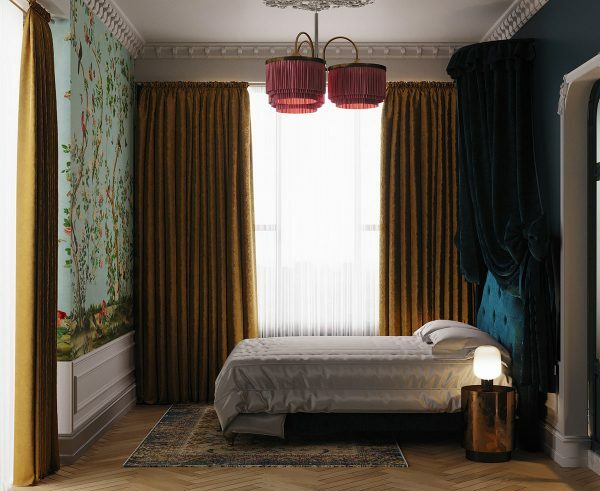 A heavy traditional canopy drapes above a matching teal velvet headboard. next to yellow ochre window drapes. Pink light shades pick out pink detailing in the floral wallpaper. 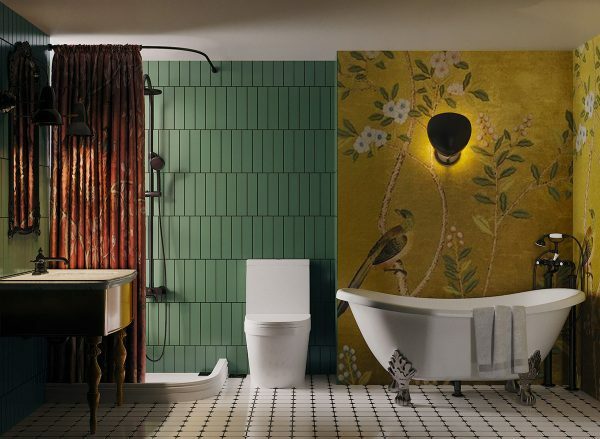 A nature inspired wall mural climbs the bathroom wall. Green tile matches the foliage in the wall imagery. 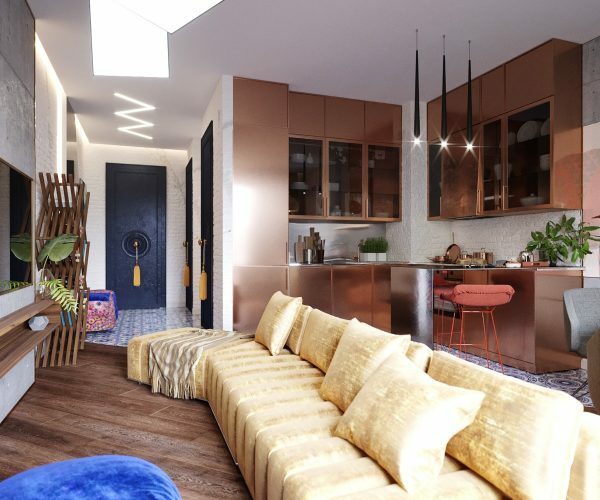 Last in our springtime interior collection is a contemporary chic living space, featuring luxe elements in gold and copper. 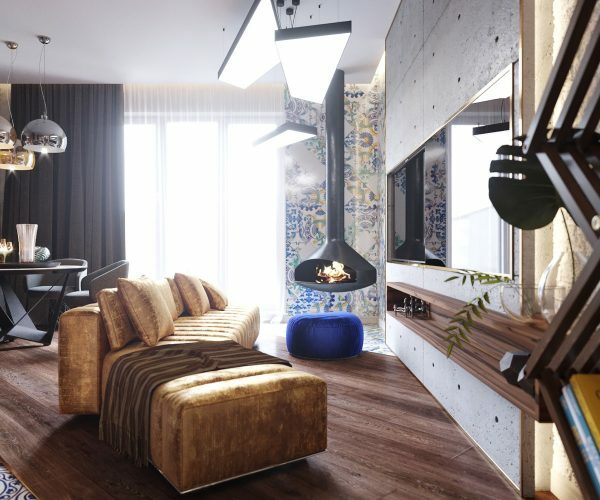 A cobalt blue pouf cosies up to a ceiling mounted fireplace. 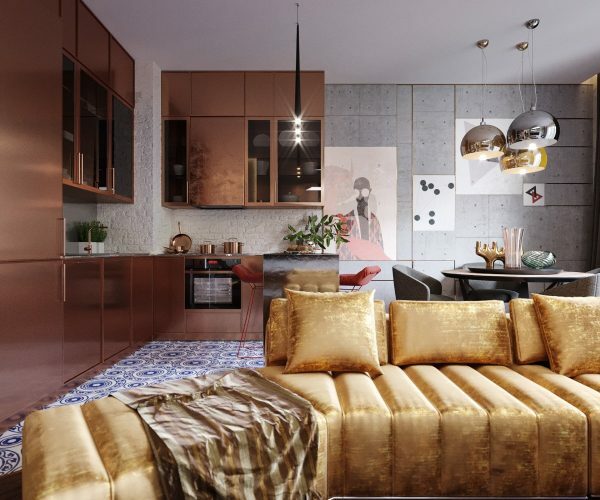 Light gold upholstery wraps the modern sofa, which stands in front of a delicious copper kitchen. 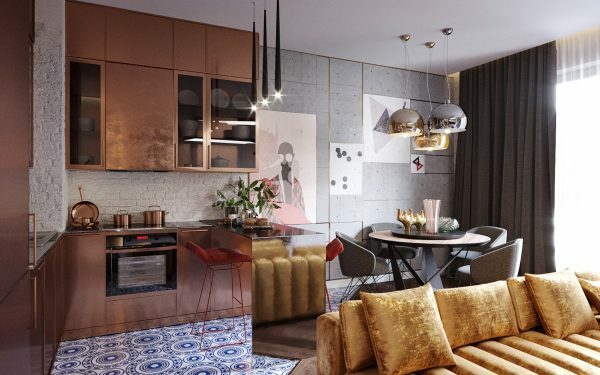 Beside the copper kitchen, dining pendant lights bring a cluster of metallic shades together. Brilliant blue tiles floor the kitchen. 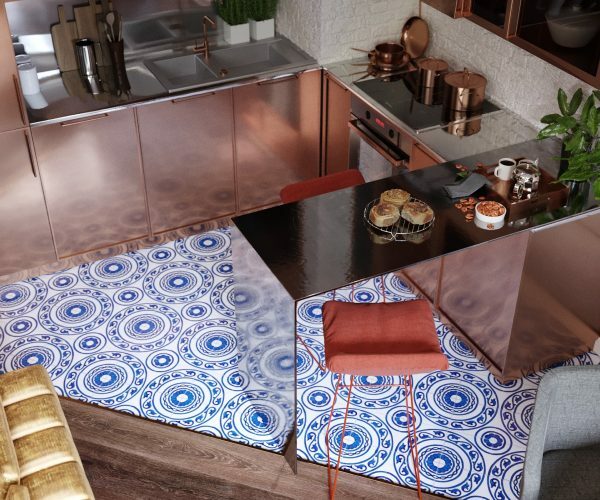 Russet toned kitchen stools complement the copper cabinets. 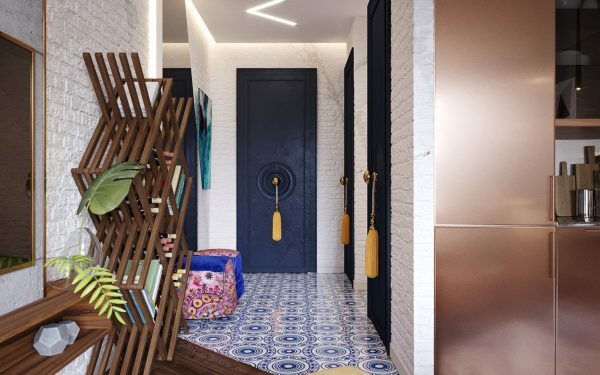 The cobalt blue floor tiles continue up a hallway of blue doors, with gold tassels hanging from gold door knobs. 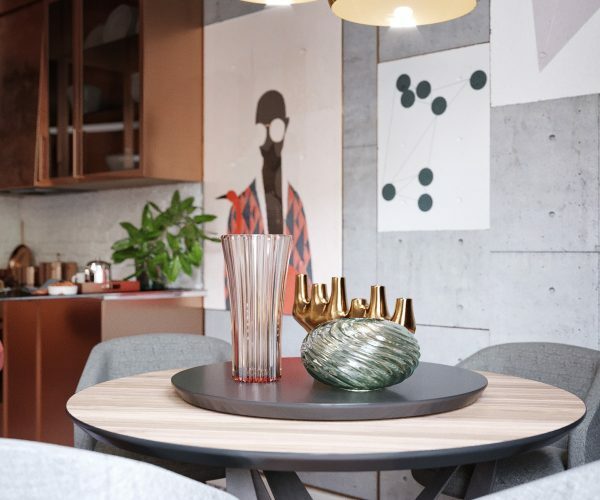 Decorative vases bring the colours of the room together.